We all love music and we have our own playlists of our favorite songs. Playlists vary from person to person. I usually save my playlists in a text file or an xml file. Well, I recently got an email from a person who wanted to print playlists. Here’s the question he asked, “How do I print my playlists? I want to maintain a record of my music collection”. Lemme show you how to print playlists. 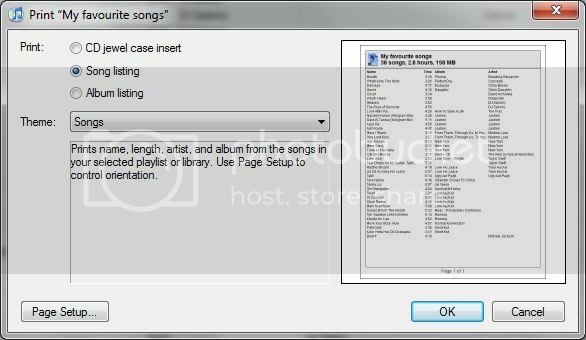 Printing a playlists solely depends upon the software you use to manage playlists. Well, if you are using iTunes then you can print playlists pretty easily. But, if you’re using Windows Media Player then it doesn’t have an option to print playlists. One easy way to print playlists is by saving the playlist as an xml file or a text file. Managing and printing playlists is easy on MediaMonkey and hence I would recommend anyone to use MediaMonkey. It has a ton of features that you won’t see in Windows Media Player or iTunes. Printing a playlist in MediaMonkey is pretty easy. If you have a playlist in Windows Media Player then simply import it to MediaMonkey by adding it to your library. If you don’t want to import the playlist then you can also create a new playlist in MediaMonkey itself. Open the playlist in MediaMonkey, you’ll see the full list of songs in the playlist. Now, go to File> Create Reports and choose the type of report you want to generate. You can select the type of format of the report. You can generate a HTML, XML, CSV, or Microsoft Excel report. You can later open the playlist in word, Excel, etc depending on the type of output. But, if you want to get a stylish printout of a playlist then I would recommend using iTunes.